Dreamland is set to become the number one destination for Christmas in Kent as it transforms into The Frosted Fairground. The amusement park will open on the first two weekends in December, then every day from December 16th until January 3rd, only closing for Christmas Day. Open every day a new this 450-metre square ice rink will have room for 150 people to skate at one time. The winter weather won’t affect the fun as the rink is undercover, with a clear roof and walls for taking in the sights at the winter-themed amusement park. For younger visitors, a magical experience awaits families and believers visiting the grotto at Dreamland. With elves, crafts and a sing-along with Father Christmas himself all topped off with a gift for each child. 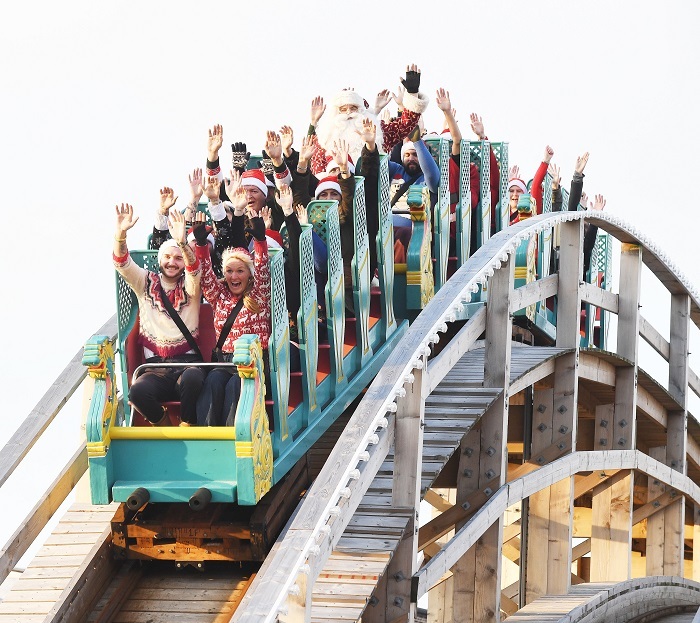 Rebecca Ellis, senior creative producer at Dreamland Margate, said: “It’s been a very exciting year at Dreamland and ending it by providing an amazing festive experience at the park is really important to us. “We can’t wait to have an ice rink in Margate and to once again draw people to the town outside of the summer season. There’s a plentiful line-up of attractions and events set for the park, with seasonal food and drink and lots more music and entertainment still to be announced, The Frosted Fairground is the perfect place to get that festive feeling. Head over to the official website for tickets. Following a £25 million investment from Arrowgrass Capital Partners, Dreamland reopened in May 2017. The park has been re-landscaped and has meticulously restored vintage rides, world-class entertainment spaces, modern interactive art installations, contemporary street food, eclectic bars and live entertainment with a backdrop of Margate beach. It is less than 90 minutes from London by train with Margate station only a five-minute walk away.